Homestead, a new residential community, located northeast of San Antonio, in Schertz, Texas, is now offering home ownership incentives to military families and veterans, law enforcement, firefighters, first aid responders, healthcare professionals, and teachers in the San Antonio area. 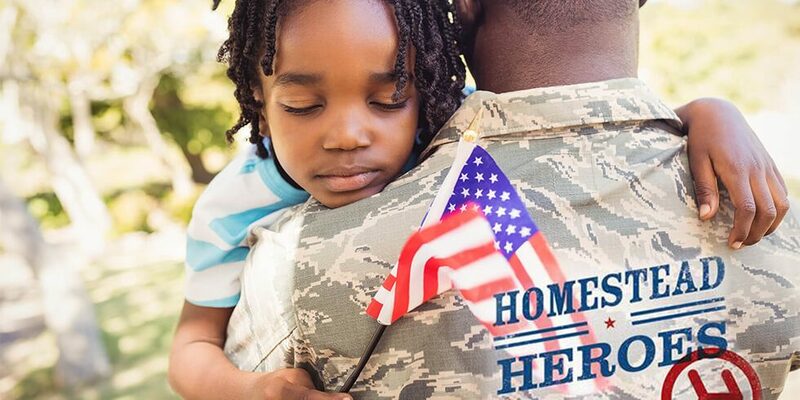 Happening now, and continuing for a limited time, Homestead will cover 100% of the cost of HOA fees for two (2) years for all community members who defend, serve, and care for our country. HOA fees at Homestead are $75 per month. Homestead is a Freehold Communities development. With office in Austin, Texas, they apply a uniquely distinct Vital Community™ approach to modern community living with an emphasis placed on Healthy Living, Engagement, Connectivity, Stewardship, and a Design_Forward Philosophy. Unbeatable lifestyle amenities are at the center of all Freehold properties and the social heart of the Homestead community in Schertz, Texas is Homestead Commons. Homestead Commons includes a state-of-the-art fitness center; manicured lawns for impromptu outdoor activities; resort style pool with splash pad; open air pavilion with a fireplace and grill stations; and, natural outdoor play activities with engaging play structures. The community features nearly 5 miles of hiking and jogging trails, ponds and parks; gathering spaces throughout the community; and direct access to Deerhorn Park with a Pet Park and a dog agility course. Castlerock Communities, with 1,600 – 2,450 square foot homes – 3-4 bedrooms, 2-3 bathrooms – from the mid $200’s. 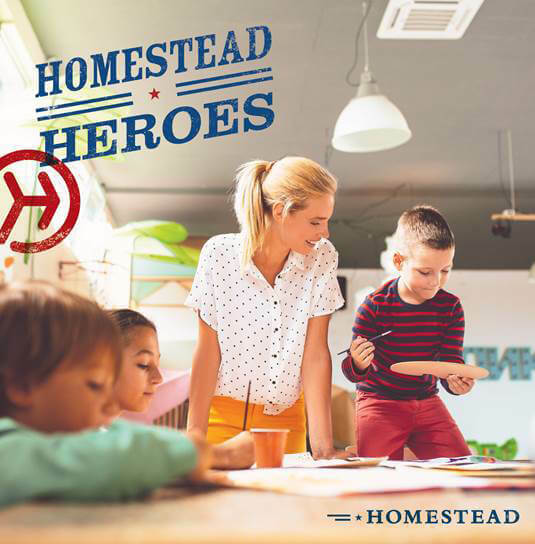 To learn more about the Homestead Heroes program, reach out to: homestead@freeholdcommunties.com, or sign up on this landing page.